There is no charge to download anything on this site, but if you like what you hear and want to help me cover my costs please click here. This is a program that isn’t listed in my grandpa’s notes. I’m sure he was only interested in what was on the other side (which I will have in my next post). The recording is incomplete; it’s another part 1 of 2 where I don’t have 2. The record doesn’t have a year on it, but I was able to figure out that it was 1947 through Googling some of the names and events I heard in the recording. Columbia’s Church of the Air, in the words of the announcer, was established by the Columbia network so “clergyman of the major faiths might bring their message to a nationwide congregation of worshipers.” This service is “…from the studios of WJEF in Grand Rapids, Michigan, where the 159th General Assembly of the Presbyterian Church… is now in session … Mr. Wilbur LeRoe Jr., an attorney of Washington, D.C., who will conduct our service this morning, has just been elected moderator for the coming year. Mr. LeRoe has entitled his sermon, ‘Christ’s Way to Fullness of Life. 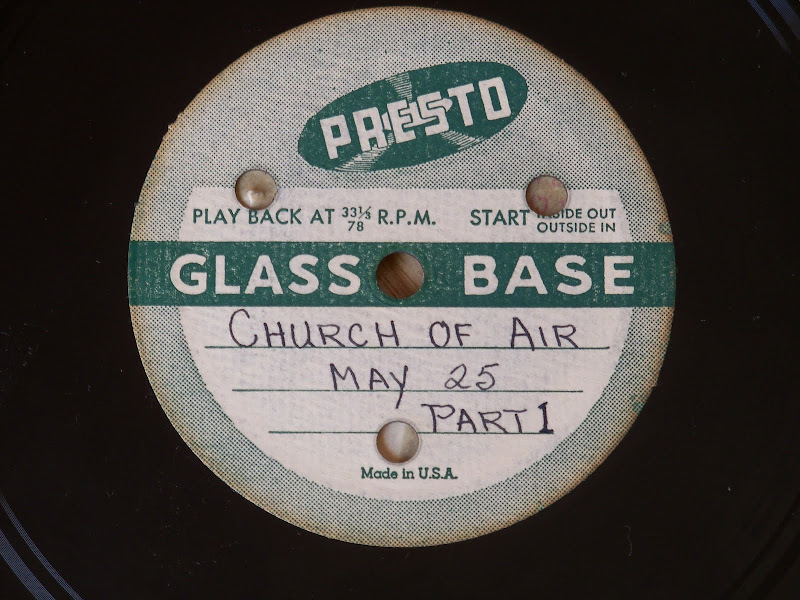 '” Music for the service provided by the choir of Westminster Presbyterian Church of Grand Rapids, Michigan, directed by Mr. Douglas Peterson. Mr. Peterson is at the organ. All content on this and all affiliated "Grandpa's iPod" sites is for personal, non-commercial use only. I do not own the copyright to any of these recordings. All rights are presumed reserved by the original copyright holders.